The Ardgay hotels listed below are either in the town or we have given a rough guide as to how far they are from Ardgay. We hope you enjoy your stay and find your ideal accommodation from our list of hotels in Ardgay and the surrounding area. Ardgay and its neighbour Bonar Bridge, which lies across the River Shin, are two very picturesque little places, connected by that bridge, on the coastal route to the north or the inland route towards Lairg and the northwest. Also see Ardgay attractions & Ardgay. 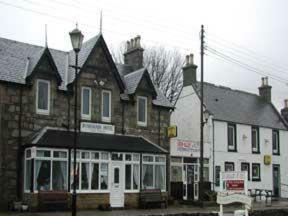 For hotels in other areas near to Ardgay see Bonar Bridge hotels & Lairg hotels.